Each month, I share a free embroidery pattern for you to download and stitch. 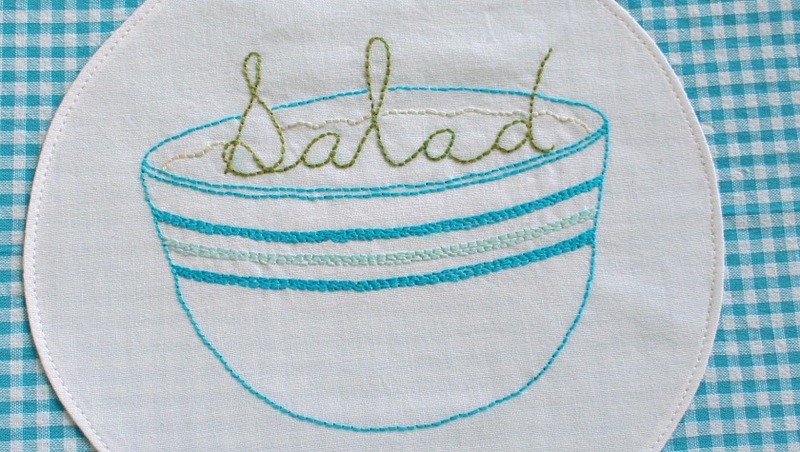 This month’s Salad Bowl Embroidery Pattern is perfect to embroider on items for the summer. 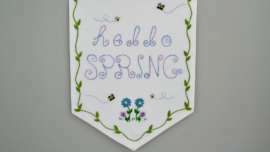 In this photo, it was embroidered on a white background which was then appliqued onto a fabric bowl cover (tutorial coming soon) but it could be embroidered onto tea towels, placemats and napkins or other items as well. I kept the stitching very simple only using a basic backstitch because this is a practical item that will get a lot of use and I didn’t want it to feel too “precious” to use. The bands on the bowl were just 4 rows of backstitch embroidered right beside each other. 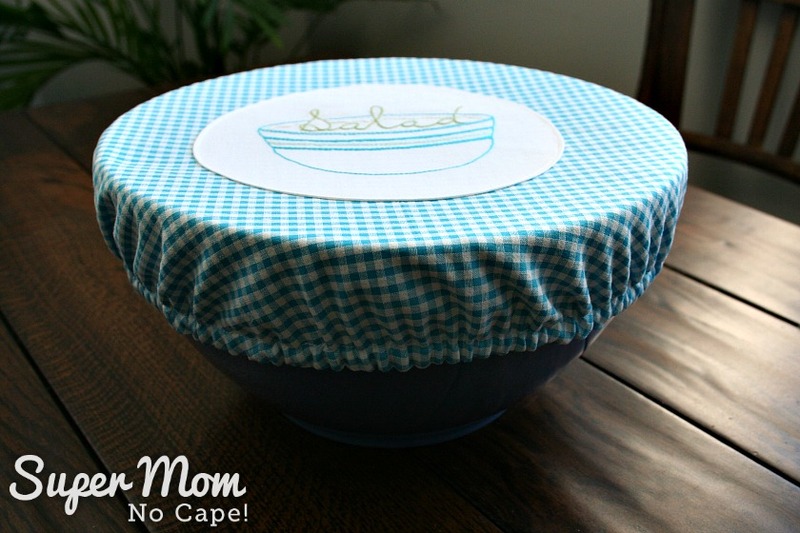 The floss colors for the bowl were chosen to go with the pretty blue gingham that I was using for the bowl covers. The bright blue is DMC 3845. The single band of light blue is DMC 747. The word Salad is DMC 471. The salad is stitch in Ecru. Since our family’s two all time favorite salads are Potato Salad and Hawaiian Macaroni Salad I chose the Ecru but you could get creative and add a few leaves of lettuce, a slice of tomato and some cucumber slices to your salad bowl. 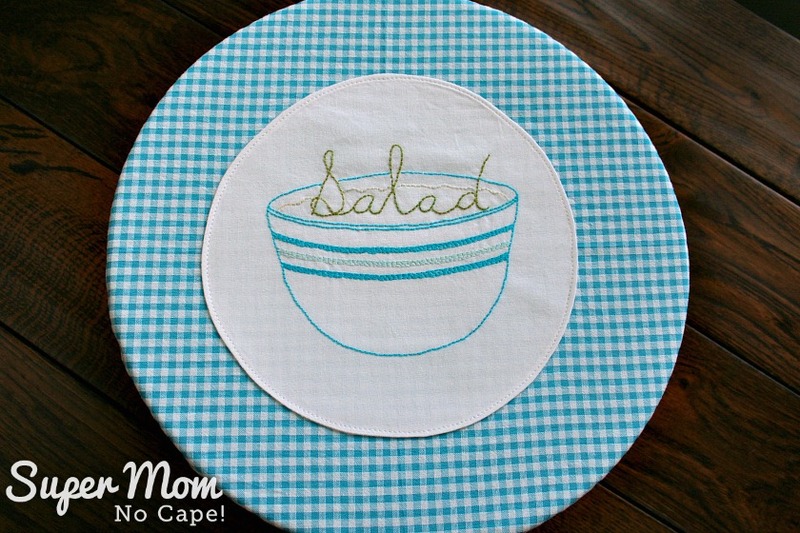 I just love that blue gingham fabric! Now it’s time for our monthly Stitchery Link Party. 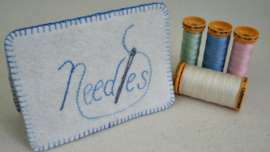 Please scroll down to link up your hand embroidery posts or visit those who do. For those who are newly subscribed or are visiting for the first time, on the first Monday of every month I host a link party in which I invite you to share your hand embroidery projects. The project can be anything as long as it includes hand embroidery stitches in some form. 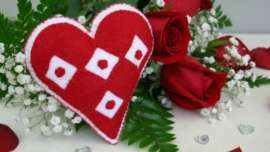 Such projects might be but are not limited to redwork, blackwork, goldwork, bluework, (etc), counted cross-stitch, crazy quilting, crewel, silk ribbon, pulled thread, hardanger and sashiko. Link directly to your blog post, not to your blog home page. You’re also welcome to link to a Facebook or Instagram post, if it is set to public. If you happen to sell your embroidery or embroidery patterns, feel free to link up to a blog post you’ve written about a project you’re selling, but No direct links to shops or websites selling things. This will be a curated link party. In other words, if a link does not conform to the three simple rules above, it will be removed. Please link back to the Stitchery Link Party with a text link somewhere in your post or on a page where you list your parties. As well, please share the love and visit one or two (or more) of the other links and take time to leave a comment. It would be wonderful if you decided to follow me but it’s not necessary in order to take part in the link party. 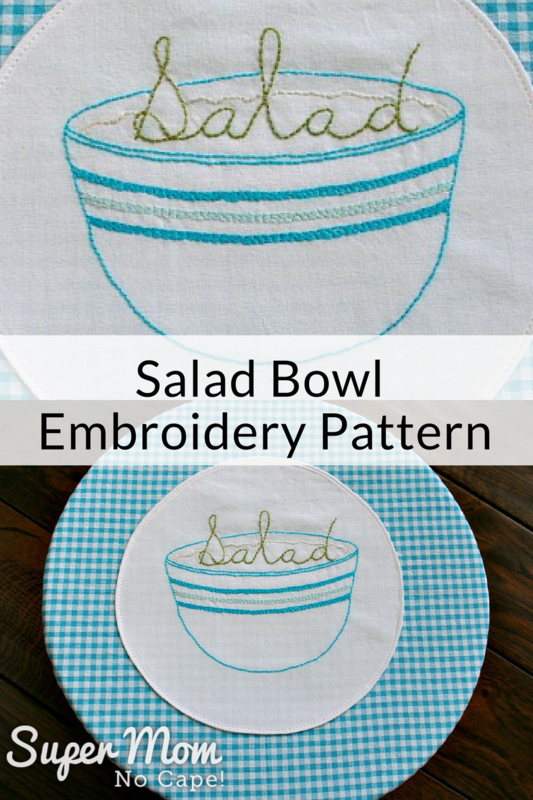 Save this post for the Salad Bowl Embroidery Pattern by clicking on the Pinterest button underneath this post. Perfect design for a bowl cover!! Thank you. That is really cute and so nicely made. 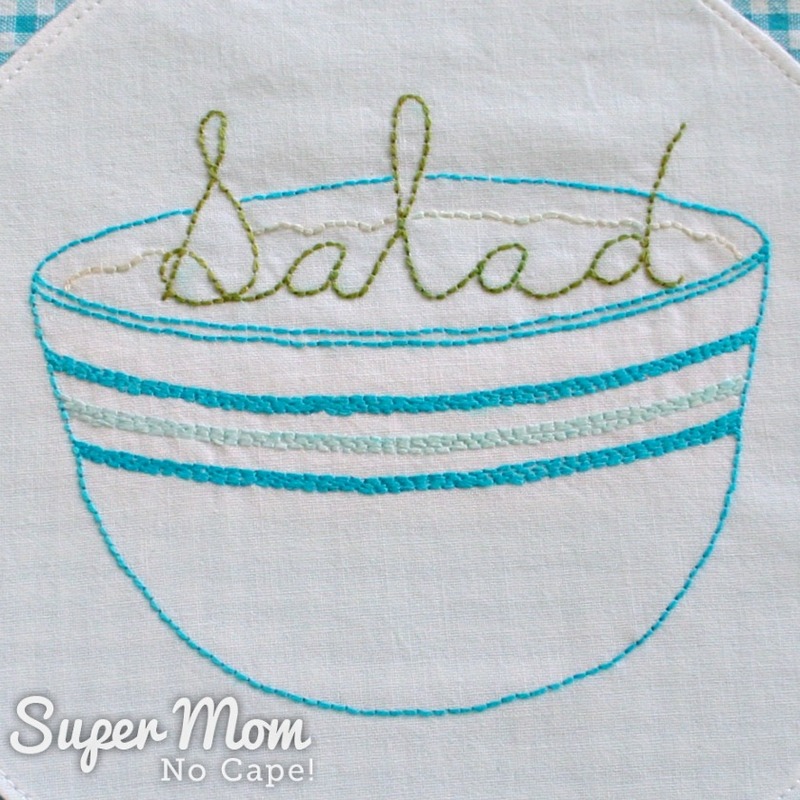 Love the salad bowl cover you made and the embroidery pattern is great thanks for sharing it. I think I will make one for my sister. Really cute idea! Love it when your posts pop into my inbox…..sure hope you are feeling much better now. An absolutely lovely and clever idea. How many strands of floss do you recommend for stitching? What a great idea! Your simple stitches and colours have really pulled this piece together well.